NPR Scicommers Are you interested in science communication? Join NPR's network of science communication buffs called NPR Scicommers. We'll help you connect with like-minded scientists, get published, and find jobs! 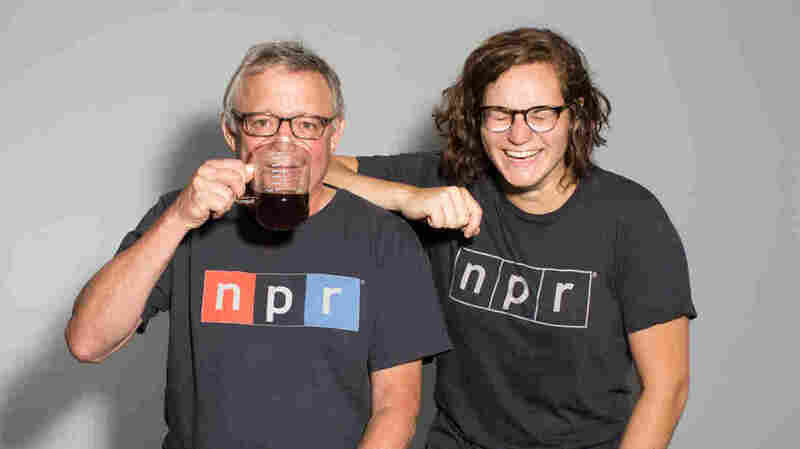 NPR Scicommers (formally known as Friends of Joe's Big Idea) was started by NPR Science Correspondent Joe Palca in 2012, in an effort to tell stories about the processes of science and invention. During his travels, Joe interacted with many scientists who wanted to become better communicators. NPR's Joe Palca and Madeline Sofia work with scientists all over the country to become better communicators. Who are the NPR Scicommers? NPR Scicommers is a community of scientists that includes undergrads, graduate students, post docs and faculty interested in improving their science communication skills. There are some 1000 NPR Scicommers across the United States. The community is open to anyone actively engaged in science, no matter their training level. We're here to help scientists talk about science, so we aren't taking public relations people for now. Email NPRScicommers@gmail.com to get involved! Science correspondent Joe Palca and producer Maddie Sofia organize the NPR Scicommers. Both Joe and Maddie got their start as Ph.D. scientists before moving on to NPR. Joe has traveled the country for decades talking about the importance of science communication. Maddie taught science communication at the University of Rochester while earning her Ph.D. The NPR Scicommers team has begun several initiatives to help Scicommers become better connected with each other, develop science communication related skills and advise on career development. This program allows scientists to practice pitching their ideas and also receive feedback on their writing and editing. Each Scicommer that produces content gets a final edit from an NPR reporter. After that, we help get the content in the hands of editors who may publish the work. More than 45 Scicommers have used this program to get published outside academia. Check out Matt Wilkins's piece in Scientific American or Hannah Thomasy's piece in NPR's The Salt. The mentor chat series brings experts in to video chat with the NPR Scicommers. So far we have explored topics such as: freelance science writing, starting a diversity and inclusion group on academic campuses, science outreach, and more. The chats are recorded, and are usually accompanied by resources following the chat. We have created multiple Slack channels for NPR Scicommers to chat and share documents.Channels are denoted by a hashtag and their name. Take part in our awesome Office Hours program, which has helped 45 scientists get published outside academia so far. 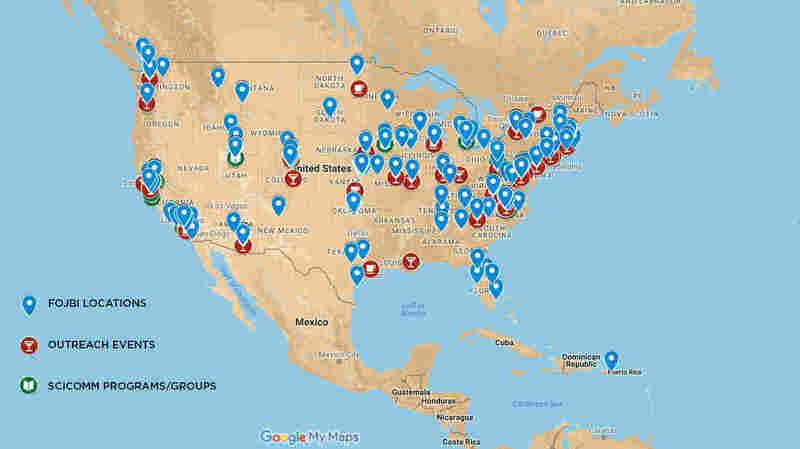 A layered google map features the location of events such as science cafes, places where scicomm is being taught and the location of our NPR Scicommers. This tool helps NPR Scicommers to reach out to each other and to share ideas and resources. We're happy to work with many collaborators to help improve science communication worldwide. Email NPRScicommers@gmail.com to inquire. The NPR Scicommers community spans the US and abroad. The map shows locations of events such as science on tap/science cafes, and places where science communication is being taught. Joe's Big Idea is generously funded by the Lemelson Foundation.